There are lots of good baseball names. Where else can you find a Yogi and Chipper and Moose and Boog? Mookie’s a good name for the kid who mows your lawn, the wiry old jazz musician who never caught a break, the mysterious water-witcher with no fixed address, and the guy who stops when your car breaks down, digs around in the back of his truck for a piece of cable, ties something up under your hood, makes your car start, and then disappears before you can say thank you. Mostly, Mookie’s perfect for baseball. Like Mookie Wilson of the New York Mets. In the 10th inning of Game 6 of the 1986 World Series, outfielder Mookie Wilson hit the ball that dribbled between Red Sox first baseman Bill Buckner’s legs, allowing the winning run to score, tying up the Series, and leading to the Mets’ “destiny” win in Game 7. To one Curse of the Bambino, add one dash Mookie. Stir and serve. You may think I’m sharing this simply to stick it to the pesky Red Sox who beat the Orioles Friday night 7-0, and then again last night 8-0. I’m not. If I were sticking it to the Red Sox, I would share this video instead. Mookie is known for his heart and his hustle, especially on the base paths. But, there’s another Mookie now: 22-year-old Boston Red Sox outfielder Mookie Betts. He’s safe! And … he’s safe again! Yes, he stole a “certain” two-run homer from the Orioles’ Chris Davis on Friday night. But, it was so awesome, how can I be mad? Mookie excelled at baseball and basketball in high school. He’s 5’9” and can dunk. Plus, he was named Tennessee Boys Bowler of the Year in 2010. And, if all that weren’t enough, he does Yoga to warm up before games. OK, sure, almost all of them do nowadays, but this photo of mine from last season is one of my favorites. 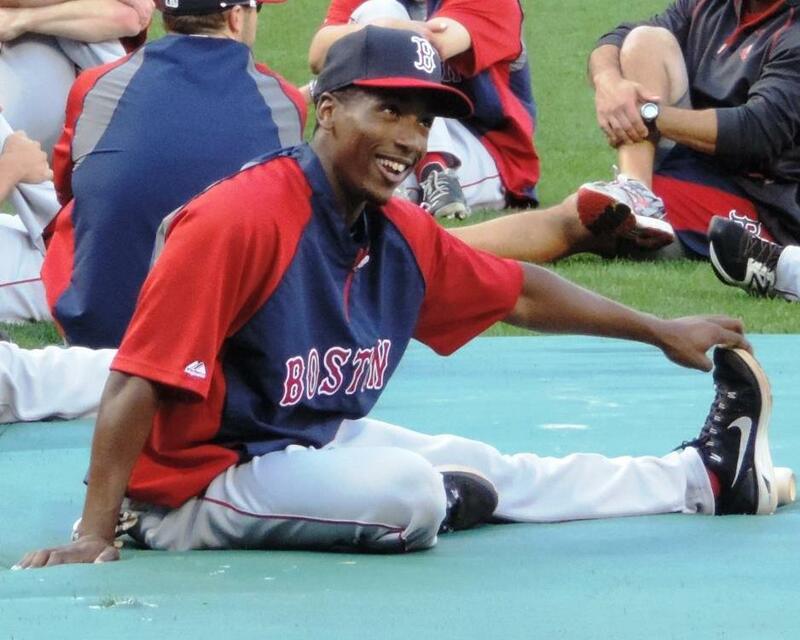 How can you not love a guy named Mookie who is so happy to be warming up? How can you not forgive him for being a Red Sox? But, today there’s another Mookie. When you live in the country, feral cats show up in your barn. Ten percent of the ferals are old tom cats, with crooked faces and matted fur. The tips of their ears are often missing and their tails take funny turns in weird directions. These toms are stealthy and you’ll usually only catch glimpses of their back ends in the mornings as they slink from your barn and disappear into the grass of the nearby pasture. They know they are squatters and they do their best to stay unseen. But, 90 percent of the ferals that show up in your barn are pregnant females. They will have kittens in your barn and then dare you to kick them out. You can’t. You just can’t. 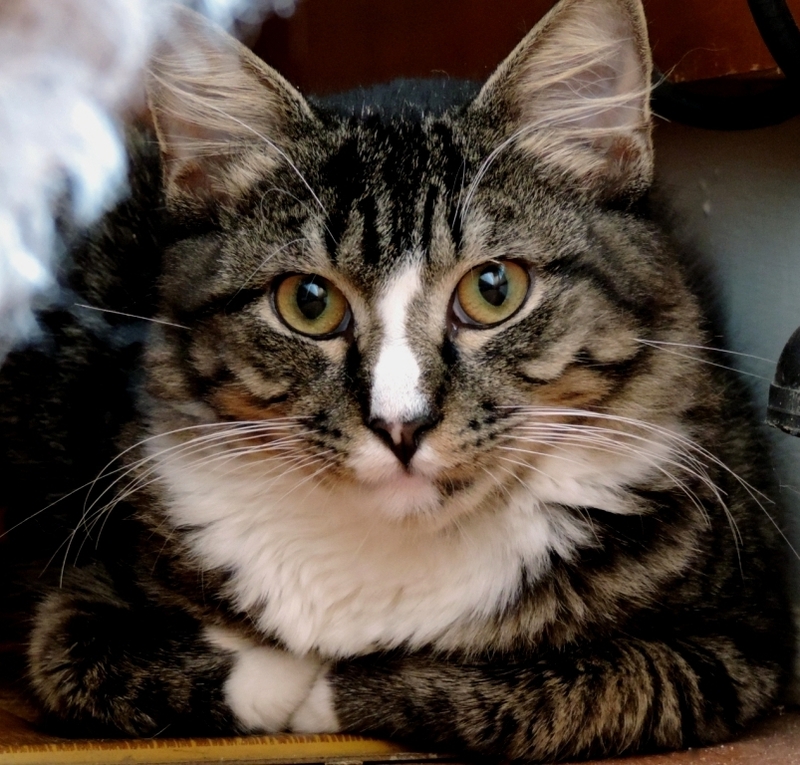 And, when you finally start to catch the ferals, for fixin’ and re-homing, you wonder if one – just one – will be able to make that challenging jump from wild thing to indoor cat. Because, he seems so happy. Although, I admit, this might not look too good. I’ve been sitting around for weeks waiting for the Baltimore Orioles to just get on with things and re-sign Nick Markakis. How hard can it be? It’s not like he’s asking for $300 million. Or, 13 years. Really, guys, sign someone. Anyone. Other teams spend money. The Orioles sit tight. I was planning on a silent protest. Not saying a word on here until the Orioles did something. But, I miss you. So, I’m cancelling the boycott. So, here’s the traitor thing. With no Orioles news to report, this post is about the Boston Red Sox. As an Orioles fan, I’ve got no love for the Red Sox. Those are the rules. That’s why I post this video from 2011, the only highlight in a lousy Orioles season, on here from time to time. Just to relive a moment when we weren’t supposed to, but we beat the Red Sox anyway. And, they’ve still got money to throw around. Bye, bye Andrew Miller. Bye, bye, Nelson Cruz, too. (Probably.) We’ll miss you. I hate all this off-season money business. But, this post isn’t about money. In September, my Red Sox-loving, baseball guru Jay arranged for us to go down on the field for batting practice when the Sox played the Orioles at Camden Yards. So, while I wait for the Orioles to get Nick to sign on the dotted line, here are the Red Sox doing Yoga. Second baseman Mookie Betts was so joyful in his stretch that this photo has become one of my favorites. How can I dislike a team that has a Mookie doing Yoga? 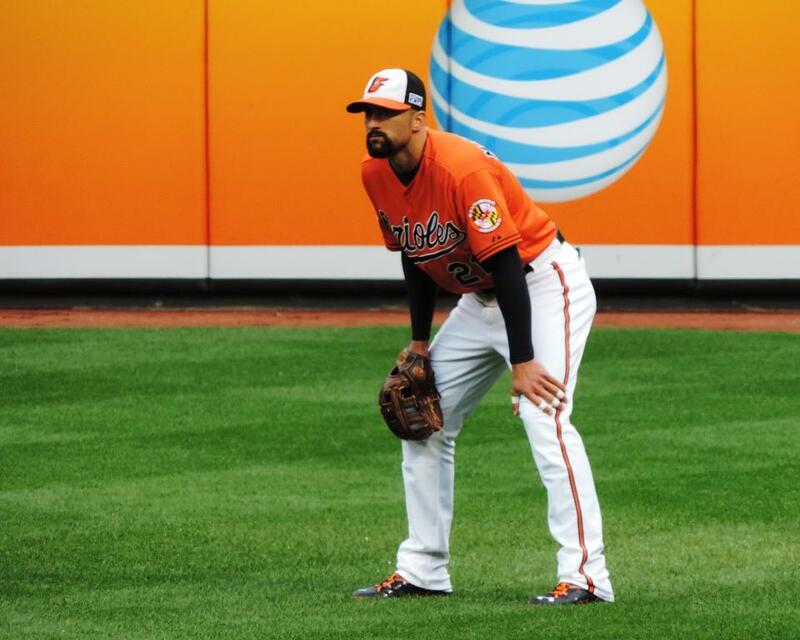 Now, how about some “Free Agent Sign-asana”, Orioles, so I can stop writing about the Red Sox?